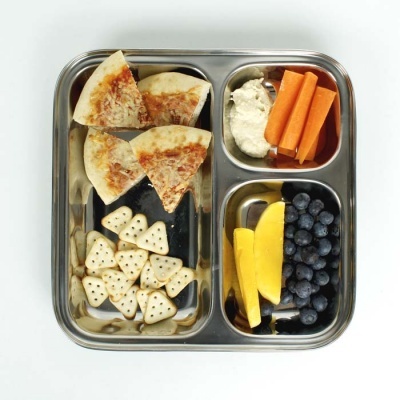 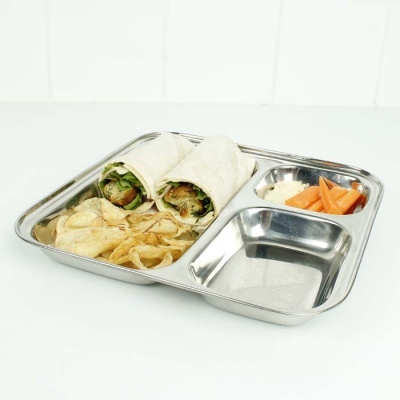 A plastic-free square, stainless steel divided plate. 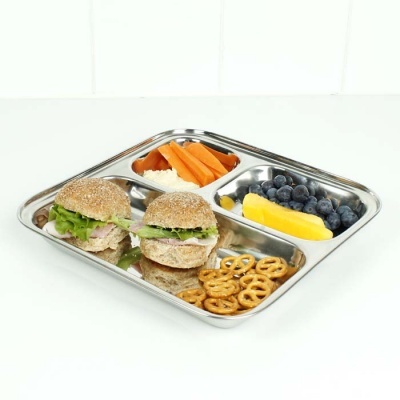 This square, stainless steel divided plate is a perfect plastic free alternative for camping, outdoor dining and everyday use. It has three compartments and weighs just over 300g so is easier to eat from than more lightweight alternatives such as plastic and paper.